Later in the day, they will make their way to the Broomhill centre near Wimborne and arrive in style on another engine called Alice. The Wallis and Steevens steam tractor was built in 1919 and will chuff and puff Santa into the car park at 1.30pm. Santa Claus always draws a large crowd of visitor to the Stewarts’ car parks when he arrives. 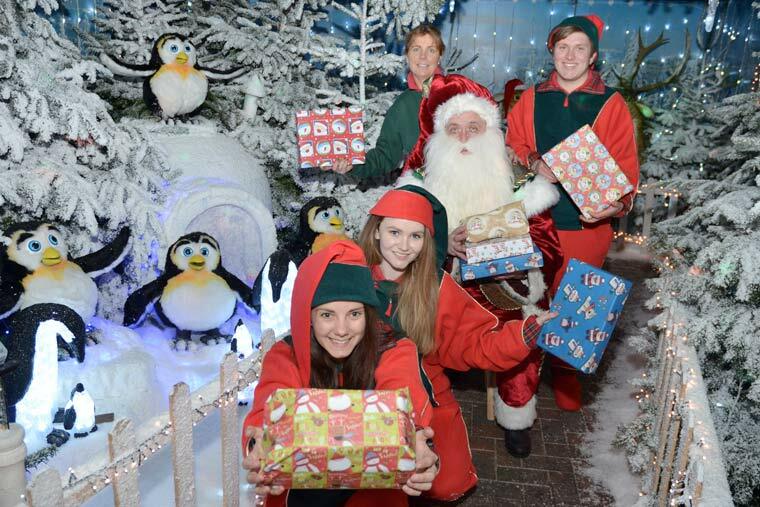 This year the Dorset Youth Marching Band will also be playing a variety of seasonal tunes to herald the opening of the very popular grotto where boys and girls can tell Santa what they want for Christmas and receive a present. The Stewarts’ real reindeer will also be back to be viewed by visitors following a relaxing year off in their field. Christmas departments have already been opened with a charity preview evening where the Bournemouth Hospital Charity held a raffle to win £250 worth of vouchers and many of the visitors enjoyed their first Christmas dinner with all the festive trimmings.